Denim Lapis is compromised of Lazurite, Sodalite, Hauyne and Calcite and contains none of the Pyrite which is what the lovely golden flecks are in Lapis. When the Pyrite is not present it is called "Denim." 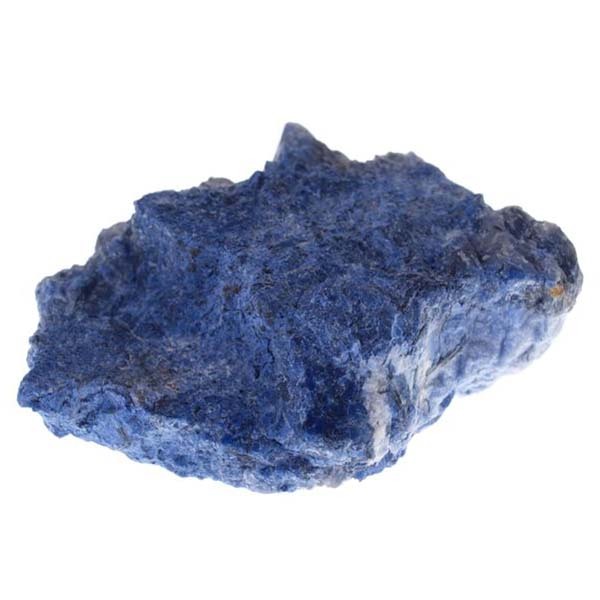 It is generally not as vibrant a blue in its coloring as regular Lapis. 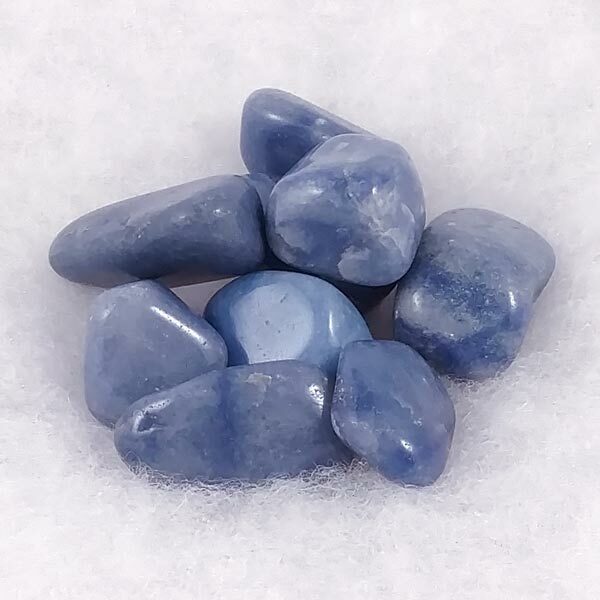 You may also see this one sometimes referred to as 'blue quartz' in the world market. These need to be cleared more often (due to the lack of Pyrite) but carry the same properties as regular Lapis, just a bit slower acting (energy wise). These are a medium size of about 1 inch.